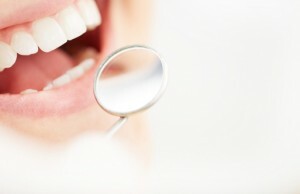 Do you feel that your gums show too much when you smile? Perhaps you’ve always been self-conscious about the fact that your teeth simply appear too short and stubby, or maybe your gum line is uneven across your top teeth. These common cosmetic problems can, fortunately, be corrected with a procedure called cosmetic gum lift surgery at Joe Isaacson, DDS in Oklahoma City, OK. Learn how this safe, proven procedure can help you uncover the brilliant white teeth you’ll feel confident showing off to the world. Also known as gum recontouring, cosmetic gum lift surgery effectively creates a more uniform, balanced smile by removing excess gum tissue that covers the surfaces of your teeth. Using a highly advanced soft tissue laser, Dr. Isaacson will gently remove any excess tissue that is currently covering more of your teeth than it should. Because our practice utilizes the latest in laser dentistry technology, there’s no need for scalpels or sutures, so patients who are averse to cutting can rest easy. In fact, use of the laser actually aids in the healing process even as the procedure is underway, substantially improving patient comfort and reducing the duration of your recovery time. You’ll love the freedom of smiling without concern over an excessive “gummy” look, and your friends, family, and coworkers will undoubtedly notice how much more often you’re willing to show off your pearly whites! If you’re ready to enjoy the full benefits of a radiant, confident smile, we invite you to contact us today at our state-of-the-art dental practice in Oklahoma City, OK to schedule your consultation with Dr. Isaacson and our caring, experienced staff. We look forward to partnering with you in your journey toward a healthier, more beautiful smile. Our office also serves patients from throughout the areas surrounding OKC, including Yukon, Edmond, Mustang, Piedmont, and more.